July 2, 2018 - Vista, CA. The Norsemen and Scots have a deep shared kinship and heritage. Scandinavian Scotland refers to the period from the 8th to the 15th centuries during which Norwegian Vikings and Norse settlers and ruled much of Scotland. From the Shetland Islands, the Orkneys, The Highlands, and the Hebrides as far as the Isle of Man. In the Year 1066, the English Kings united to end Dane Law. The Norsk Vikings of Scotland continued to hold Scotland. The Norse of Scotland badge features the swords of the Sverd i fjell monument commemorating Battle of Hafrsfjord and represents the unity of Norway. Many of our Vikings are proud of the Scottish Clan heritage. 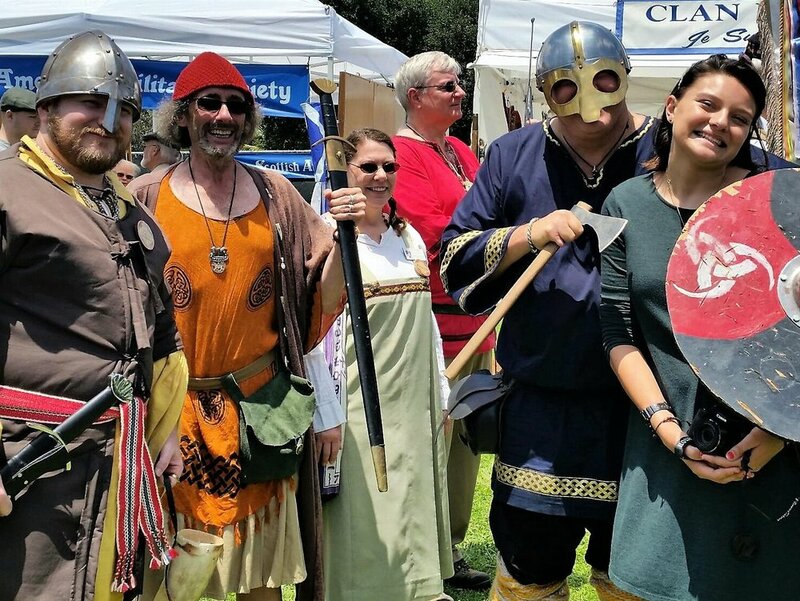 We are fortunate that the San Diego Scottish Highland Games' home, Brengle Terrace Park is only a mile from our Vista Viking Festival territories. Giving us the opportunity to share our enthusiasm. Are you a Scandinavian-Scot? If your Clan is from the Highland or the Isles, you're probably a Viking, Check us out at FB/Norse of Scotland.